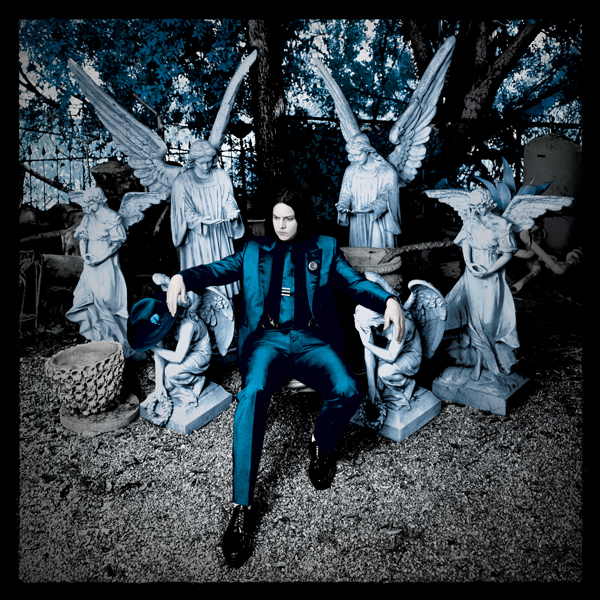 Rock-n-roll maestro Jack White is back in fine form with his new album “Lazaretto”. Fans and critics alike were foaming at the mouth for the new album after hearing debut tracks “Lazaretto”, “High Ball Stepper” and “Just One Drink”. In an interview with Rolling Stone, White described his guitar solos as “an attack” – but its not just his guitar solos that are on the attack on “Lazaretto”. White launches a full scale offense on this album , attacking each song with a gusto. His last album Blunderbuss showed a softer side to White’s work, with the songs barely rising above a gentle ballad. Once again embracing his garage-blue rock sound, “Three Women”, “Lazaretto”, “High Ball Stepper” and “That Black Bat Licorice” rage in typical White fashion with searing guitars and eclectic beats, with White’s signature vocals are shouted in a roaring crescendo. “Want and Able”, “Entitlement” and “Temporary Ground” drift dreamily through, orchestrating a introspective mood that lasts long after the songs are over. Jack White never makes the same album twice and thats why we love him. Pick up your own copy of “Lazaretto” this tuesday June 10th. The album is available for preorder on iTunes and preorder your vinyl copy at White’s website.